The Highlanders take on Bishop O’Dowd today in varsity baseball. 4:00pm at Witter Baseball. Come out and root, root, root for the home team! I read about it in the NY Times and again in an AP article on SFGate. 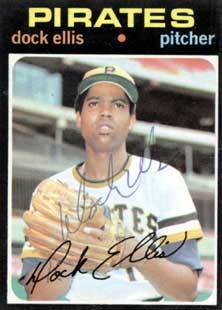 Dock Ellis died last Friday, December 19th. What everyone remembers (or reports about) is the infamous “LSD” no hitter (vs San Diego in 1970). He was much more interesting than that. Ellis was part of my childhood as a Giants fan, one of those Pirates from the early 70s with Willie Stargell and Roberto Clemente. The same Pirates who won the NL east in 1970, 71, 72, 74, 75, then again in 1979. Hard to not notice those Pirates. The Giants only won the NL west once, in 1971, during that same time frame. Yes, the Big Red Machine and Charlie Findlay’s mustachioed A’s were around, but the Pirates seemed so much better and more “real” than the A’s or Reds. Just read about the time Dock intentionally hit the first three Reds batters in a 1974 game. Dock Ellis was part of that era. He was outspoken, flamboyant, and a “character” in an era full of them. It wasn’t until I was older and read Donald Hall’s “In the Country of Baseball” in his anthology Fathers Playing Catch with Sons, that I got more perspective on Dock Ellis. I highly recommend you read the essay, if not the whole book. Dock Ellis was also memorialized in the song “Dock Ellis” on the SF Seals “Baseball Trilogy” EP, an early 90s psychedelic track, written by Barbara Manning (you can hear it on her blog). Overall, one of baseball’s more interesting people and someone that made a difference, on and off the field. 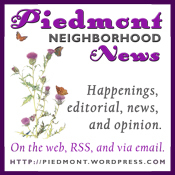 Also see the proposed plan and related documents on the Piedmont city website.